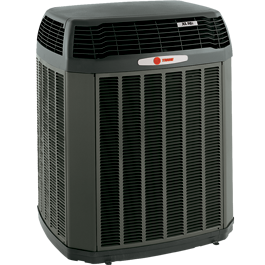 There are different types of heat pumps, but you could choose the Trane XL20i heat pump. One of the reasons why a heat pump works best is that you could use it for both cooling and heating. Your main reason why you would want to purchase one of these specific units is that they offer comfort, efficiency, ease of use and is durable, quiet and economical too. It creates healthier and cleaner indoor air. Comfort-R Innovation – The XL20i has a very special feature which enhances airflow. This is what is called Comfort-R. It provides greater humidity control when cooling. This happens when the fan is run at a slower speed during start-up. By using it for heating, Comfort-R provides warmer air during start-up. This causes the cycles to reduce temperature variances for optimum comfort. Efficient Performance -The rating of the Trane XL20i heat pump of up to 19.00 SEER and up to 9.0XL HSPF makes it one of the most efficient pumps available. A further special feature of the XL20i is its two compressors: the one that can be utilized for milder weather and the second is reserved for the extremely hot days. The Communicating Capability of the ComfortLink II – The ComfortLink II communicating technology allows for all your key components to be connected. This is so that your system automatically charges, configures and calibrates itself for optimal performance and efficiency. 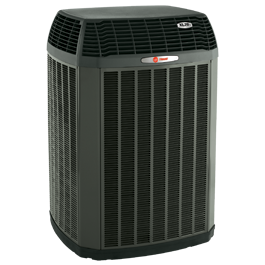 The Durability, Silence and its Economical Use – The fact that the Trane XL20i heat pump offers increased efficiency may substantially lower your utility bill. The multi-stage fan motor adjusts the speed so that there is maximum quiet comfort. Materials for all components are tested for long-lasting performance and durability. It Offers Cleaner and Healthier Indoor Air – This is achieved through advanced air filtration, Trane CleanEffects that removes most pollen, dust and any other irritants from your home. This would therefore give you cleaner and healthier home. The ComfortLink II giving it the Communicating capability needed to run your system to its optimum. The Charge Assist for the enhancement of performance and efficiency of the Trane XL20i heat pump. Dual Climatuff compressors – two compressors make it possible for you to save on cost, For example, you run the slower fan when the weather is mild. You have the option of using the faster fan for when there is need for faster heating up. This is where the two-stage cooling and heating, as well as the multi-stage fan fits in. The full-side louvered panels make it a safe unit, protecting the inner parts. The WeatherGuard top protects components, especially against damp and wet. The same applies to the Weather-resistant WeatherGuard fasteners. The baked-on powder paint adds to the protection, but also gives the unit a finished appearance. The silent run of the unit has to do with the sound insulator on the compressors which includes the low-resistance airflow. 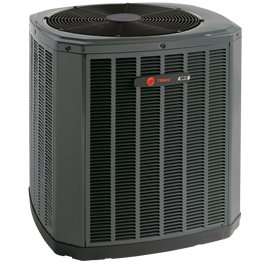 The purchase of a Trane XL20i heat pump means a long-term investment. It will save you on cost in the long-run. It is therefore necessary that it does come with a warranty. It is important that you know that it is Registered Limited Warranty if the product is registered within sixty days of installation. 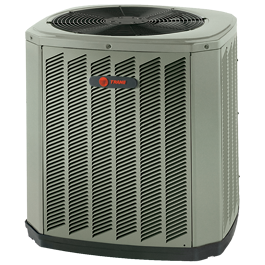 Should you not register your Trane XL20i heat pump within sixty days of installation then Trane’s Base Limited Warranty terms will apply.